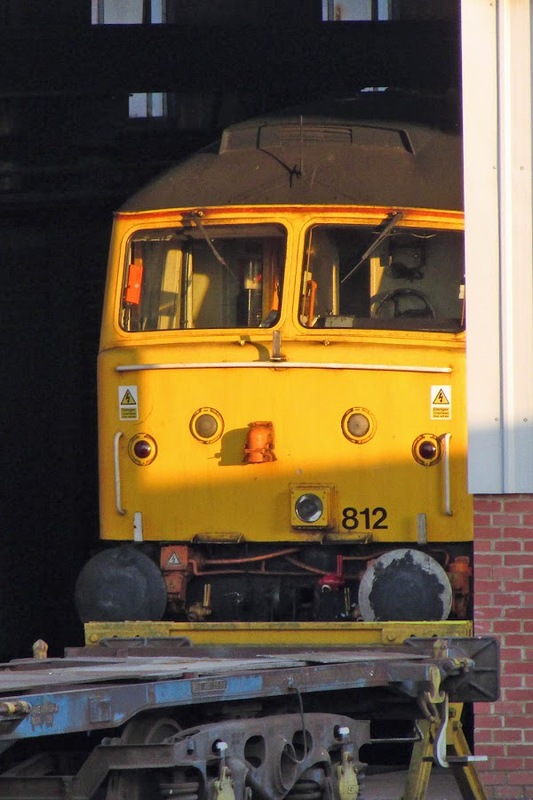 47812 seen inside a shed. It arrived at the works on the 19th February. 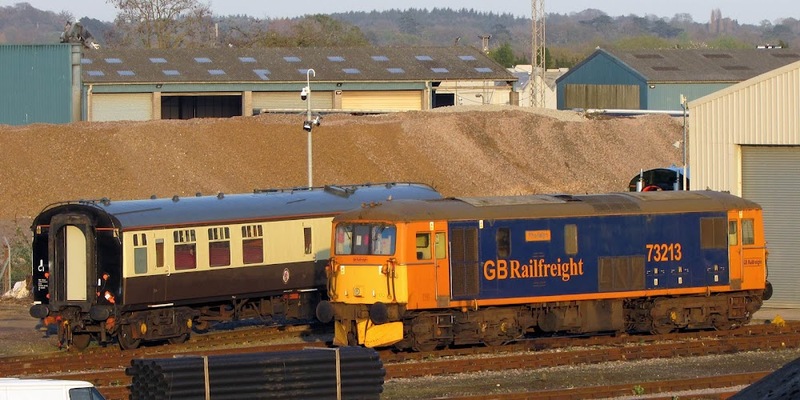 73213 Rhodalyn seems to have arrived at the works on 1st April. 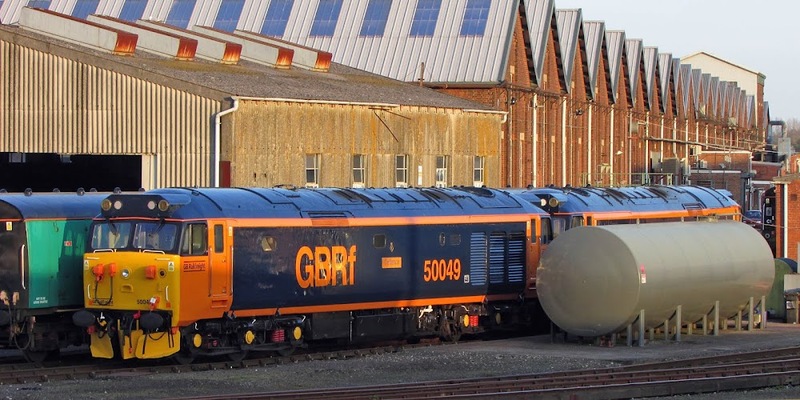 50049 Defiance + 50007 Hercules.